Innovation, Real-Time Transparency, and why Uphold is the safest and most useful place to hold your bitcoin, fiat, precious metals… and your Vox. Building a successful start-up has been compared to racing a boat even as you build it. 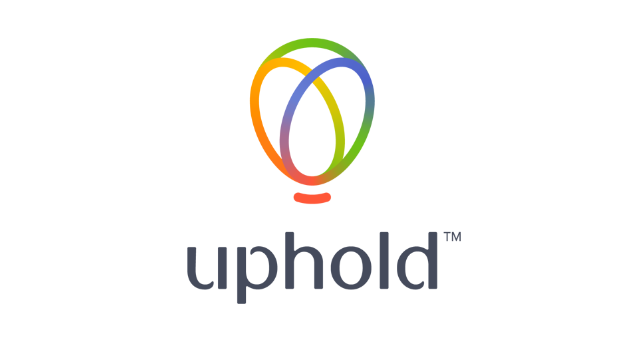 At Uphold we’ve given ourselves the added challenge of real-time transparency, which means that how fast we’re going ($875mm in transactions and accelerating) and the new features we’re adding to go even faster (like connecting to the world’s bank networks and supporting promising new asset classes like the Voxel (VOX)) are a matter of public record. In a world of opaque financial services (both legacy banks and new cryptocurrency-based businesses), Uphold’s independently verified (audited quarterly) transparency system provides a real-time proof of our reserve’s solvency and makes Uphold the safest place to hold money in any form. Our support of the VOX doesn’t change this. Remove VOX from either side of our Reserveledger and anyone can confirm that Uphold is fully reserved. Supporting the VOX is an example of our commitment to enabling our members to hold value in any form, in the same way the Internet supports every conceivable form of information. As we’ve communicated previously, In 2016 we will be adding more traditional asset classes to our platform, including US stocks. Uphold’s support of the VOX is also a proof-of-concept of how we can bring liquidity and convertibility to closed-loop currencies, such as airline miles, in-game currencies, loyalty points, etc. We believe VOX, as the in-platform currency of Voxelus and Reality Lab, has a very bright future. We encourage you to check out Voxelus – it’s a compelling platform. We also believe that supporting previously closed-loop currencies like VOX in exchange for a percentage of those currencies’ float is an interesting template for future revenue lines. But neither of those beliefs impacts our solvency. Remove VOX from our full reserve and from our obligations to Uphold members and we are still fully reserved. The value of the VOX in our system is pegged to the VOX price at the end of its crowd-sale (which, in turn, is pegged to BTC). Once the VOX becomes freely tradable (upon the opening of Voxelus marketplace, slated for the end of March), the value of the VOX in our reserve and Uphold’s VOX obligations to our members will be determined through market activity carried out between independent exchanges (currently seven slated for launch) where VOX will be traded. If the VOX price drops to zero (which we think unlikely given the size of Voxelus’ addressable market and its progress to date), Uphold will still have acquired valuable experience, technical capabilities and know-how, adding non-traditional asset classes to our platform… knowledge that can be applied in myriad downstream applications. If, as we believe likely, VOX succeeds in becoming a sort of proxy for the growth of VR, Uphold could at some point in the future profit for supporting the development of a valuable new currency. Either way, we’re very excited for VOX’s future. This is what innovation with real-time transparency looks like. Moving fast while hiding nothing can sometimes create confusion and give unscrupulous competitors and trolls the opportunity to spread misinformation. This happened yesterday when an ‘anonymous’, 12-hour-old reddit user sought to spread false information. Ultimately the facts are public and there are no secrets, which numerous commentators of the post have highlighted. In the end, this reddit post served to highlight Uphold’s deep commitment to financial transparency and our Company’s significant benefits over others in this space. All Uphold members could choose to remove their value off the platform tomorrow if they so wished and it would have zero impact on our operations as a Company or on the continued provision of our services. Unlike legacy banks and most depository financial services, Uphold does not leverage any of the value its members hold on the platform. We’ve built our platform to take the risk out of financial services so our members’ value is 100% accessible and available for withdrawal anytime they choose. Misunderstandings around the Voxel have brought to light the need for a view of the reserve that segregates forms of value into different categories wherein liquidity, volatility, cost of transacting, etc lend different functional qualities on the platform, like convertibility, spendability, etc. Soon our redesigned Transparency page will be launched, providing an easier-to-understand Reserveledger, made more intuitive (and less subject to misunderstanding) through the separation of illiquid asset classes (like, for now, VOX) from liquid and freely tradable asset classes (like fiat, bitcoin, and precious metals). Our team has heard the feedback from our members and fintech community regarding VOX and the current state of its value on our platform. As promised, we have now launched a redesigned Transparency page as well as reflected this in our overall Transactions to date statistic to further ensure clarity and separation of illiquid asset classes, such as VOX, from liquid and freely tradable asset classes. We invite you to check out our new Transparency page and feel free to share your feedback.